Aussies love their backyard sheds. Whether they are not much bigger than storage for the lawn mower and whipper-snipper, or are huge monsters big enough for a couple of cars and the boat, we all want them. Start by working out what you need the power to do when it hits the shed. Do you only want a small light so you can find things at night, or do you want to run power tools? Do you want to create a man-cave complete with air-conditioner, fridge and TV to watch the cricket during summer, or will you be doing some welding and car restoration? Think long-term with your shed. Will your soon-to-be teenager want to take over your shed for all-night gaming marathons in a few years’ time? Will the next owners want options to run a backyard craft business from your shed? Most people underestimate their power needs for their sheds. They start by trying to run an extension cable from their laundry up the hill to their shed and wonder why things don’t work properly. Extension cords are not designed to be permanent fixtures. There have been many cases where an over-enthusiastic whipper snipper or gardener has sliced through the extension cords causing serious injury, or electric shock. The coating around extension cords is not designed to be permanently exposed to the elements. It breaks down over time, exposing the wires and increasing the risk to users. There are a number of cases where a spot of rain has turned a metal shed powered by an extension cord live, killing the kids or people who lived on the property. If you need electricity on a permanent basis, talk with a sparky to run some trenches, and get safe, mechanically protected power to your shed or garage. Why do you need an electrician to run power to your shed? 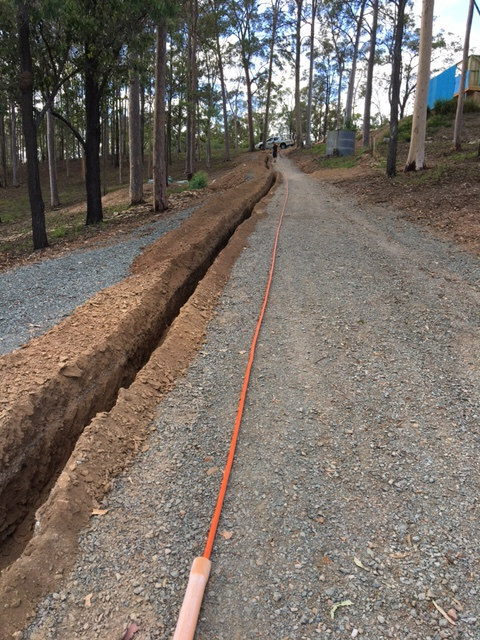 Aside from the legalities (all fixed wiring must be installed by a licensed electrical contractor in Queensland), you need to consider voltage drop of cables over distance. What can start off as 240V can end up at 180V at the end of the cable. This will make your tools or appliances run hotter and wreck them much faster than normal. This is especially true if you are using high-demand tools such as welders and air-conditioners. An electrician can check out the distance the cable needs to run, work out the impact on your existing circuits and switchboard and then factor in potential demand. They will dig or advise on the trench depth and the fall required for the trench to deliver the right voltage to where you need it. 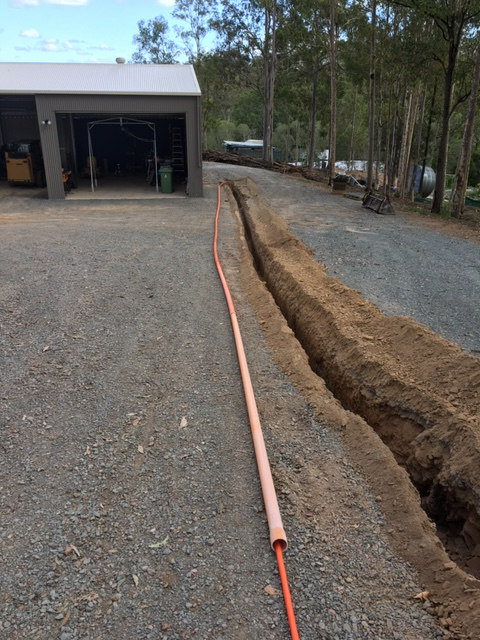 Many DIYers try to lay plumbing pipes right next to the electrical conduit, in the same trench going to their shed. This is known as a widow-maker wiring and is a definite no-no! Electrical conduits, plumbing, and communication conduits should be separated by depth to prevent damage to each other, and electrical conduits should be marked by warning tape installed above the conduit before final back-fill. A sparky will steer you straight if you try and do something that is illegal or will cause you problems. Your electrical contractor will then run the right-sized cable (anywhere from 2.5mm to 6mm or higher depending on potential demand) through the correct sized conduit and add in appropriate circuit breakers to ensure the safety of everyone who uses the shed. Here’s a shed we recently powered up in Samford. It was 120m from the road. By running power at the construction phase, and by thinking through potential uses of the shed, they have future-proofed their shed for coming years. Running power to your shed or garage does not come cheap. 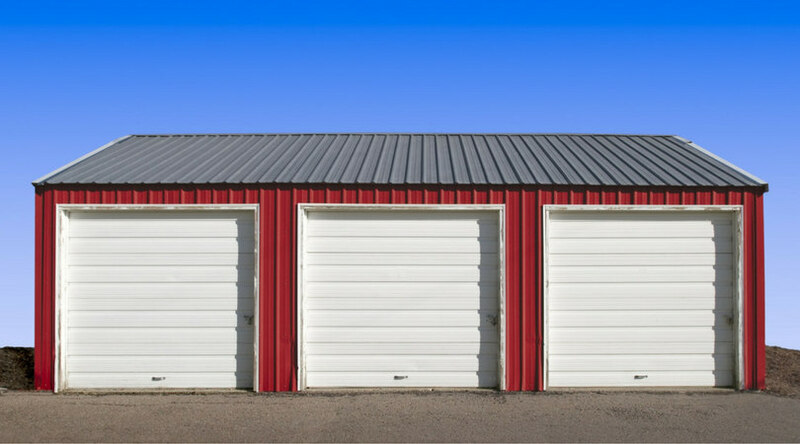 Most sheds come in somewhere between $1500 to $4000 depending on what is needed. The only way to know for sure, is to get a quote from a licensed electrical contractor. Tradesmen on Time are experts in running power to sheds on acreage properties as well as suburban homes. We help you future-proof your property and give honest advice on what you can and can’t do to meet regulations. Need power to your shed? Call Tradesmen on Time!